Excel Global Solutions with its rich expertise and competency in building Omni Channel solutions, facilitates companies to succeed in making its customer experience consistent and seamless across various channels and devices, logically, and renders greater customer engagement (and loyalty). The strategy adopted by EGS in building the Omni channel experience for its clients, delivers business value through increased conversion and reduced attrition. The approach we adhere to provides companies with better insights into buying patterns and delivers greater differentiation - because users/customers are more loyal to enterprises that offer a "great" user experience. With the increasing and rapid advancements in digital technology, an exponential shift in user/consumer behavior, has become very common. Users/Clients today access multiple channels to execute a product view/usage, purchase, leading to the requirement that all channels work seamlessly to support the brand and the experience, be it be a retail store or a financial institution etc. This trend started with the Internet, but is now being advanced in a very dramatic and rapid fashion due to mobile and other digital technologies. Users/Customers, empowered with these digital communication devices, are pressuring organizations to deliver compelling and innovative experiences to retain 'top of mind'. Omni Channel can be adopted across many industries such as Retail, Banking and Financial Institutions, Insurance, Manufacturing and many more. However, it has been more prominent in the Retail and Banking. The companies that capitalize on the opportunities that an Omni channel strategy presents are well-positioned to move ahead of their peers. But as new technologies emerge and user expectations continue to change, any enterprise need to adapt quickly to meet those changes head on. By personalizing their approach to each individual user and working to squeeze the greatest value out of their user data, each enterprise can equip themselves for success. In putting the solutions that they need in place now - whether user/client engagement, information management, location intelligence solutions, or all of the above - enterprises can better align their goals across the company, and ultimately, improve user experience and performance. Build a Business Case: We perform an in-depth channel assessment to determine which channels are effective, which are not, and which channels are not in the current enterprise portfolio, but should be. We use future-view journey mapping to identify gaps that need to be filled and where the enterprise can generate additional value from existing channels. Ensure Seamless Channel Experience: We look within and beyond the enterprise four walls to elevate the user/customer journey. We ensure and strategize to contemplate all potential connection points with partners, employees and vendors that can facilitate a frictionless user/customer journey and add value to the experience. We also determine what can be done in six months, 12 months and beyond to ensure the enterprise-wide applications meet and exceed its customer - and enterprise business - needs. Develop and Integrate the Channels: We align to the existing application portfolio with the Omni channel strategy. It saves time, money, and effort by integrating only those applications of the enterprise, that truly support the Omni channel vision. It's important for companies to build consistent channels that work together despite the fact that each channel is often built upon different platforms and technologies. We utilize application programming interfaces (APIs) to establish those connections and a continuous flow of information. Sustain channels with continuous Optimization: In any industry, Online and Offline channel alignment must be monitored and resynchronized when needed. 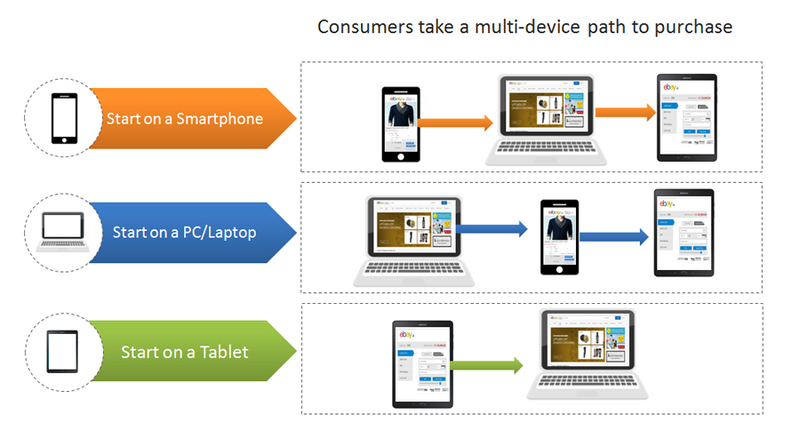 We would consistently leverage the enterprise observations and insights to understand customer "path of interest" preferences to personalize cross-channel experiences and add features to capitalize on unique channel characteristics (e.g., mobile vs. website). This needs to be done regularly - at least every month. Continuous improvement - as channel needs change: In any industry, customer needs and preferences will change over time, as a consequence, a culture of ongoing feedback loops, data analytics, experimentation and transparency is very essential, to improve the quality of service for users. Any new or unused channels may become the solutions for emerging requirements. We assist you to look out for opportunities to further monetize data by connecting other propositions to your company's ecosystem in new and appealing ways.